Makers are a bit like dryers. Stay with me, I'm going somewhere with this... People have problems. Right now, my problem is that my daughter is night toilet training and every doona in my house has some degree of pee on it. My problem is that I have no doonas and I can't dry them myself because buying a big dryer is expensive and it's raining outside and drying all those doonas inside is going to be a huge inconvenience and take me forever. My problem is that I am going to be cold at night. 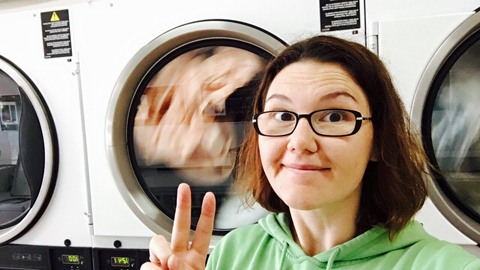 So as I am standing here in the laundromat, watching the whole contents of my linen closet spin round and round, I was thinking about how makers are like dryers. The dryer isn't just going to dry my doona like I could, with considerable effort or expense, at home. It's fluffing my doona and massaging it into airy, cloud-like goodness. The dryer solves my problem, and gives a bit extra. That little bit extra that you add, that's what you have to get across in your product descriptions, in your 'about us' and with your testimonials. You have to show the potential customer the value, because they may not just know. Before I had dried my doonas in a dryer, did I know that they would end up like a blanket of fairy floss? No. Will your customer know what the added benefits you as a maker add to the product or service that is solving their problem? Not all of them will. So tell them. Because I knew the benefits, I invested both time and money to use the dryer today. When your customers know the benefits that you add to the solution to their problem, they will invest more. I could have dried my doonas for free at home so why would I pay for a dryer? Why would I pay a maker to save my problem when I could do it myself? That's the answer you need to give - show them the benefits you add. Show them the beautiful moment they receive the benefits, create anticipation of receiving them, how others have loved their benefits when purchasing the solution from you. 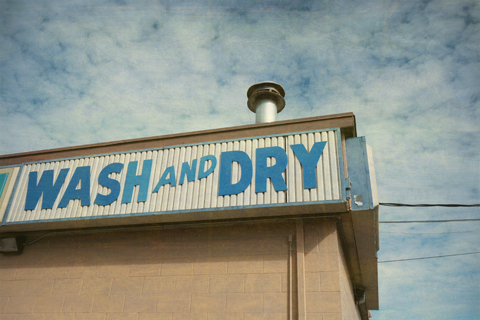 You can wash AND dry – now that’s value! Of course everyone has a tipping point price - what they would pay to solve their problem and how much your added benefit is worth to them - that's where your market and competitor research comes in. BUT, let me tell you a secret. If you don't value your benefits, and price them accordingly, then no one else will value them either. For a great take on the theory of 'free' see this piece this piece by Peta Kelly. Makers, you need to make sure you aren't just covering the costs of operating; of your materials, your rent, your overheads. You need to be making enough money in each sale to cover the cost of the energy you have invested into the piece. If you don't, you will get to a point where you are making enough to stay afloat but even though we all make for the love of making, we all need to be profitable to renew our energy. Why would you continue running a laundromat if it was only just paying for itself? You wouldn't. Your business is no different. You will end up resenting making each piece and the love and benefits you once added because you were invested in making the solution, are no longer there. Then you're in a big downwards spiral. Eeep! Enough doom and gloom. Put a price on the benefits you add to the solution, make it fair to you and don't assume that people won't be able to afford it. (This is the number one excuse we hear for low prices!) Also, you don't need to compete on price for all the different ways of solving the problem, because your solution has benefits. The dryer that I know will add the benefit of making my bed comfy doesn't need to be free like if I dried my doona by turning my house into a doona-drying fort. In fact, I would be sceptical if it was, because I know the benefit the dryer adds. When I opened up the dryer to take out my doona you can be sure I pulled it up to my face to feel how warm and soft it felt, with a slight floral fragrance from the laundromat dryer ball (add on products that stack the benefits!) I imagined myself in bed tonight, pulling the doona up to my chin and curling up into a warm marshmallow hug. Describe your benefits to your customers and they will have no hesitation investing in your solutions. Bring on the warm marshmallow hugs! I can't wait to get to bed. PS If you don't know what your 'bit extra' or 'benefits' are or how to put them into words - get in touch (hello@rumbleandco.com.au) and we can work on it together.